Prototype 0 reached satisfactory results thanks to all of you! I am very glad of these numbers which prove that my work is well appreciated: 100.000 views by 28.000 different people from 150 different countries and 20.000 followers on the Facebook page. 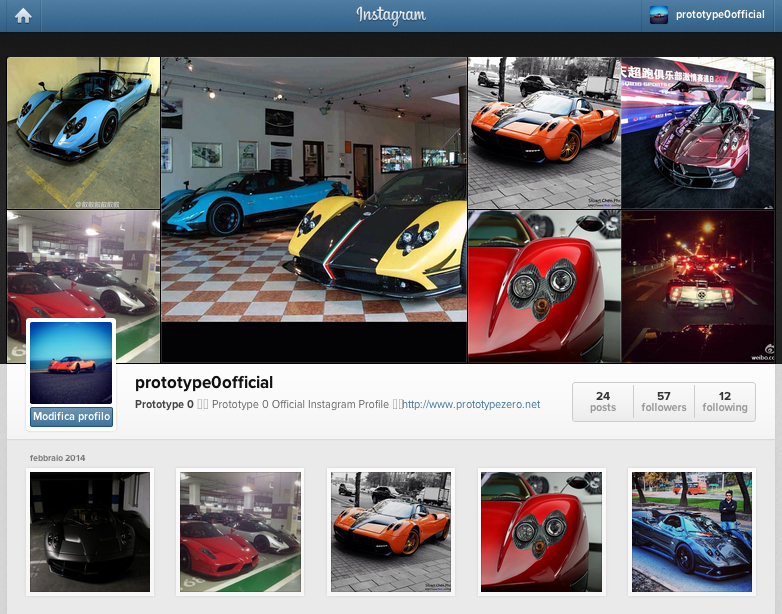 To celebrate this event Prototype 0 team launches its official Instagram profile. It is already online since few days, so, follow us at @prototype0official! Likes drastically boost the recognition within your respective site and together with the correct range depend; quite a few people today are going to be attracted to your account. The companies that give these answers, will supply you with non-automated or robot likes and provide you with authentic buy instagram likes. The nice concern concerning this is always that they are speedily transported in your account what this means is you you should not have to attend that significantly. And when you are a small business, rising your Instagram likes will be beneficial. hello,i would like a account-Please.